The ultimate goal of most workers is to own their own businesses, to be a boss of their own vision. Sometimes, when they finally land their big break, they make the error of not being thorough and decisive on the business entity type choice they make for their new business, and this leads to problems in the long run. It is always good to go over the books and speak to a professional about what business/legal path is best for your startup as this will rid you of having to make wrong fundamental mistakes. 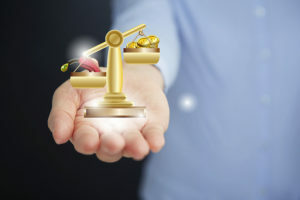 Whether you choose to establish a Limited Liability Company or you decide to go with creating an S or a C corp, each of these choices presents their gains and pitfalls unique to them. You will need a competent Incorporation attorney near you in Murrieta to help you interpret the legal jargons and explain crisply what you would be getting yourself into by choosing one and not the other. At Rawa Law Group, providing counsel for business persons as yourself is one of the many people-centered services we offer. Our incorporation attorneys are experts and they have a combined experience worth over 55 years! We know all the possible options you have as a startup, the secret benefits you can exploit and the pitfalls you should avoid. We would be honored to discuss your plans, your business and help you out in the various documentation and applications you would be making. Feel free to reach out to us via the address below!